• Mandy Coe (editor): Let in the Stars, illustrated by The Manchester School of Art, The Manchester Writing School, Manchester Metropolitan University. 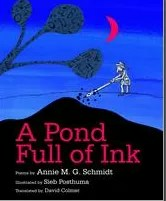 The CLPE Poetry Award for a book of poetry for children was launched in 2003. This is the only Award for published poetry for children. Young Romantics is a competition which asks writers aged between 16 and 18 to entertheir poems (max. 20 lines) and short stories (max. 1,000 words) – the only condition is that your work must take their inspiration from the work, lives and ideas of the Romantic poets, and they must refer to the theme of the competition, which this year is Lost Angels. Find out more and enter here. The closing date for entries is 13 March 2015. Shortlists for both prizes will be announced on the Keats Shelley Memorial Association website in March/April and the winners will be announced at an awards ceremony in London on 21 April 2015.
via Announcing Young Romantics, a new creative writing prize | Children’s books | The Guardian. There is a wonderful banquet of poetry books for children and their parents out this year, some more ruled by Yule than others and ranging from simple to sophisticated. via The best children’s poetry books this Christmas | Books | The Guardian. via Philip Pullman: William Blake and me | Books | The Guardian. New Zealnd poet Paul Green, who runs the Poetry Box blog website, and has just edited a splendid new anthology, A Treasury of NZ Poems for Children, is interviewed in Episode 3 of the Book Show, New Zealnd’s weekly books programme. National Poetry Day is the nation’s biggest celebration of poetry. Poetry is the one art form you can keep in your head, and this year Cambridge University is launching a massive Poetry and Memory survey on National Poetry Day to discover what poems the nation remembers. Click the link below for live events, happenings, classroom activities and spontaneous uncontrollable outbursts of poetry – or set up your own and tell us about it here. Here’s a set of eight new poems for primary school children by five leading contemporary children’s poets. The author of My Dad’s Got an Alligator and The Hundred Mile an Hour Dog explains why author and script-writer Spike Milligan is to blame for everything silly in his books! via My inspiration: Jeremy Strong on Spike Milligan | Children’s books | theguardian.com. As a child one of the books I kept dipping into was the Faber Book of Nonsense. It was full of delightfully silly stuff by the likes of Edward Lear and Lewis Carroll. Evidently my interest in humour began at an early age. In the 1950s, when I was aged aged six-10 or so, my family didn’t have a television so we listened to the radio a lot. My parents loved the funny programmes and one of them – The Goon Show – really caught my imagination. It was so ridiculously silly. The man who wrote The Goon Show was Spike Milligan and when I was a bit older I discovered he wrote for children. Silly Verse for Kids, and Badjelly the Witch were two such books and in them I found that same, very silly, utterly crazy humour, so if you read one of my books and find yourself thinking “that is SO stupid!”, you can blame Spike Milligan. He was a comic genius who used not just words but sound effects too and often accompanied his poems with daft drawings, as in A Book of Milliganimals. He pushed away any barriers surrounding humour and made almost anything possible.